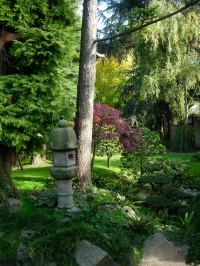 The Albert-Kahn museum and gardens in Boulogne-Billancourt are well worth a trip and will be enjoyed by both parents and children. Albert Kahn was a banker and a French philanthropist. Starting in 1909 he s et out on an ambitious project to capture people around the world in color photographs. He used his vast fortune to send photographers to over 50 different countries around the world collecting over 72,000 color photographs and 183,000 meters of film. Kahn's photographers took the earliest-known color photographs in Vietnam, Brazil, Mongolia and the United States. His photographers also captured France before, during and after the First World War. His collection is now considered the most important early color photograph collection in the world. 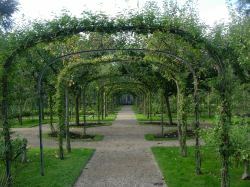 In 1983 Kahn purchased a large property in Boulogne-Billancourt, where he set out to create a garden that incorporated elements from all around the world. 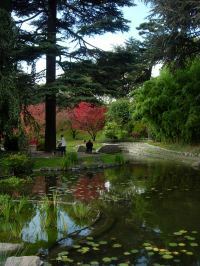 Young children really enjoy exploring these gardens, the water elements, small trails and bridges. 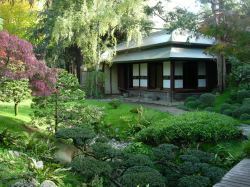 The garden called "scenes" includes an English garden, a Japanese garden with a traditional house and tea-room, a rose garden and a conifer wood. Kahn lost his fortune during the Wall Street crash of 1929 and was left bankrupt. 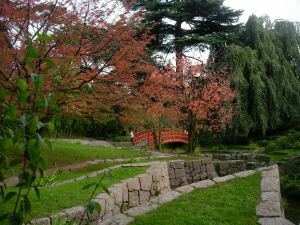 The gardens were turned into a public park where Kahn himself continued to take walks. Albert Kahn died on November 14th, 1940 during the Nazi occupation of France.